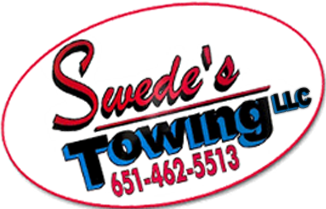 At Swede’s Towing, LLC, we value our customers with our great attention to services & prices. Check out our wonderful reviews & see for yourself or leave a review here. Randy was there in no time and offered the best rates around. I appreciate your effort and help in getting us back on the road. They brang us some gas pretty fast. Very happy to get going. We got in an accident and of course needed a tow. You guys came out quick and even helped pick up the cars debris and took it with. Thank you so very much! Best towing company youll need! We blew a break line and Randy got the car up on the truck and helped us unload it where we needed it to be. Thanks for the help! We called as our battery needed a jump back in February & Randy was very nice and polite. Will call you if ever the need arrives. I just want to say thank you for changing our tire as we didn't even have the right tools, You fixed our flat pretty fast and the cost was cheap. Good to know we could call and get fast service. We called to get help with some gas. We ran out and these guys arrived shortly after we called. Thanks guys. Swede is rated 4.6/5 based on 7 reviews. Check out our great reviews on our towing services and wrecker services. Contact (651) 461-5513 in Wyoming, MN for our towing services.